Jackie Chan-mania swept America when Rumble in the Bronx gave movie audiences a thrilling look at the athletic actor known for performing his own jaw-dropping stunts. 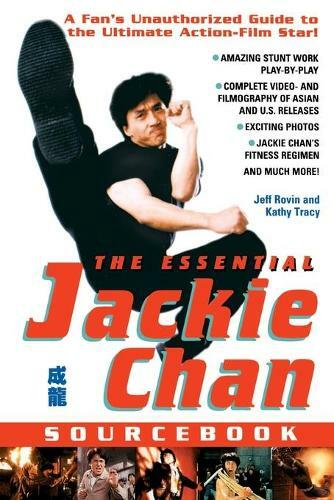 THE ESSENTIAL JACKIE CHAN SOURCE BOOK reveals everything you want to know about the daredevil dynamo who is part Buster Keaton, part Bruce Lee, and a truly unique performer in his own right - and whose devoted cult following is exploding into international superstardom. From behind-the-scenes on his movie sets to straight talk about his rise to fame, readers get to know the professional and personal Jackie Chan through revealing interviews and exclusive photos. Every film buff and Chan fan will treasure the complete film and videographies, which include his recent movies First Strike, Operation Condor, and Thunderbolt. Here is up-to-the-minute internet news; lists of awards and accolades; Jackie Chan's fitness regime; and much more.